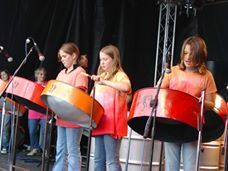 Coleford Music Festival was first held in 2000 to celebrate the millennium, it was a massive street party in which the town streets were closed to traffic & five stages were erected around the town centre. It became an annual event which was organised by a dedicated group of volunteers until 2009 when escalating costs meant the event had to cease. 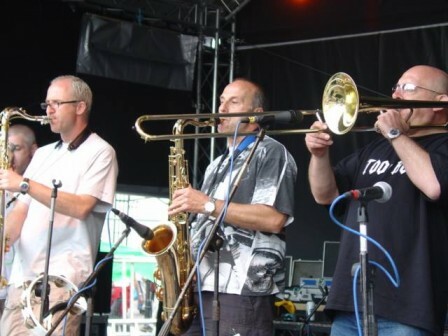 Over the years we have championed hundreds of artists, organised many children’s workshops, created multiple performance areas, supported and promoted local businesses as well as hosted a fabulous annual celebratory weekend. We are pleased to announce that after discussions with local police & representatives from the Forest of Dean District Council and huge support from Coleford Town Council. We are really excited to announce that we now have a conditional license for the event which means it will definitely be going ahead this August. 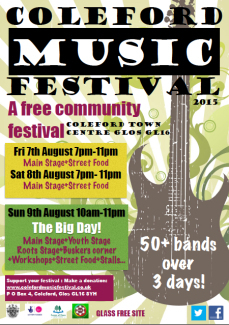 The new Coleford Music Festival will be held on friday 7th, Saturday 8th & Sunday 9th August back in Coleford Town Centre.